Polk State College has inked a new agreement with Saint Leo University that gives students more options for pursuing bachelor’s or master’s degrees. 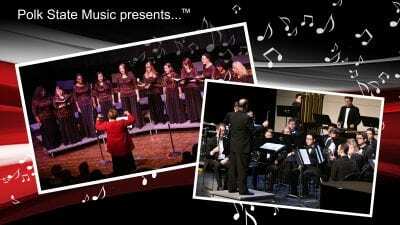 Saint Leo University is a liberal arts institution located in Pasco County. 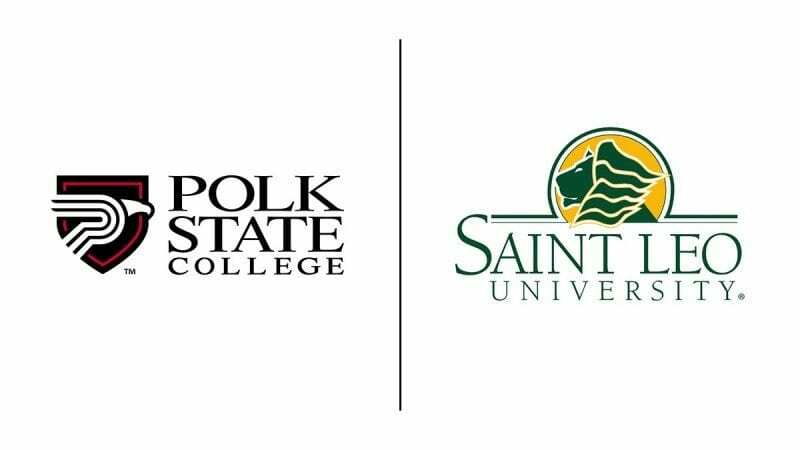 Polk State has entered into an articulation agreement with Saint Leo, which will smooth the path to advanced education for Polk graduates interested in pursuing graduate degrees in criminal justice or business administration, or bachelor’s degrees in selected fields. Articulation agreements between colleges and universities define what courses from one institution will be accepted by the second institution for transfer credit at the undergraduate level, or as adequate preparation for study at the graduate level. 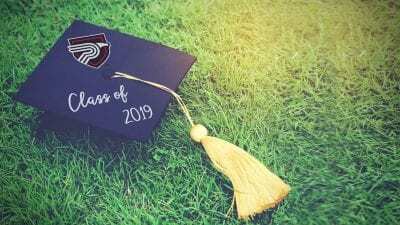 This knowledge helps students to better plan their educational careers, selecting from their very first semester the courses that will help them reach their long-term goals. Articulation agreements can offer students other benefits, such as waived application fees. “Polk State is committed to helping our students succeed — whether that’s in our classrooms or after they have taken their credits and transferred to another institution. This agreement with Saint Leo opens up another door for our students. It gives them another opportunity for applying their Polk State credits to their ultimate professional and educational objectives. 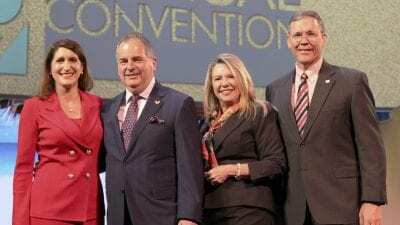 It gives them another chance to succeed, even after they have left Polk, and that’s what Polk State is all about,” said Polk State President Eileen Holden. Polk State’s Bachelor of Applied Science in Supervision and Management will be accepted for admission to Saint Leo’s Master of Business Administration program, while the Bachelor of Science in Criminal Justice will be accepted toward the university’s Master of Science in Criminal Justice. At the associate level, Polk State’s Associate in Arts, Associate in Science, and Associate in Applied Science degrees will count toward Saint Leo’s baccalaureate degrees in accounting and psychology. Additionally, Saint Leo will accept Polk State credits on a course-by-course basis toward other degree programs. Saint Leo offers its Master of Science in criminal justice online and locally at the Saint Leo University Lakeland Education Center, located at SYKES Enterprises, 1044 West Griffin Road. In Lakeland, it is available with a specialization in legal studies. Students who enroll online have additional specialization options, including corrections, critical incident management, and forensic science. Saint Leo agreed to accept Polk State graduates with a minimum grade-point average of 3.0 (on a 4.0) scale in the last 60 credits of their undergraduate work. Saint Leo’s Master of Business Administration degree also offers several specialization options. Some undergraduate courses from Saint Leo may still be required for admission to graduate programs. Saint Leo also offers Bachelor of Arts programs in psychology and accounting at the Lakeland Education Center and online. To graduate with a bachelor’s from Saint Leo, students must meet the requirements of the core liberal arts program or complete courses that are accepted substitutes. The traditional application fees to Saint Leo — $40 at the undergraduate level, $80 at the graduate level — will be waived for Polk State students who enroll under the terms of the articulation agreement. “Saint Leo has always brought new educational programs to those who might not have the opportunity to attend a regionally accredited university, and in the 21st century, we do that by providing more degree options at our education centers that are convenient to students’ homes and workplaces, and by making more online study options available. We are excited at the prospects of having more Polk graduates study at Saint Leo,” said Beth Carter, Saint Leo’s associate vice president for continuing education. Prospective students will be able to apply to Saint Leo immediately, and could start taking courses as early as the fall semester. In addition, students may have the option of selecting accelerated eight-week course terms rather than a 15-week semester. Saint Leo’s website, saintleo.edu, contains information on enrollment counseling and the university’s education centers. Polk State has numerous similar articulation agreements with public and private institutions across the state. Polk State College, established in 1964, is a multi-campus institution serving over 20,000 students with Bachelor of Applied Science, Bachelor of Science, Associate in Arts and Associate in Science degrees, as well as a wide range of certificate and workforce training options. The College also offers three charter high schools.